We all have a bad day, in fact, days. Whether the traffic made you late for work, or you stubbed your toe getting out of bed, it’s easy to fall into a bad temper and curse the living hell out of everything. Sometimes the smallest thing can trigger a rollercoaster of negativity that puts a strain on your day. 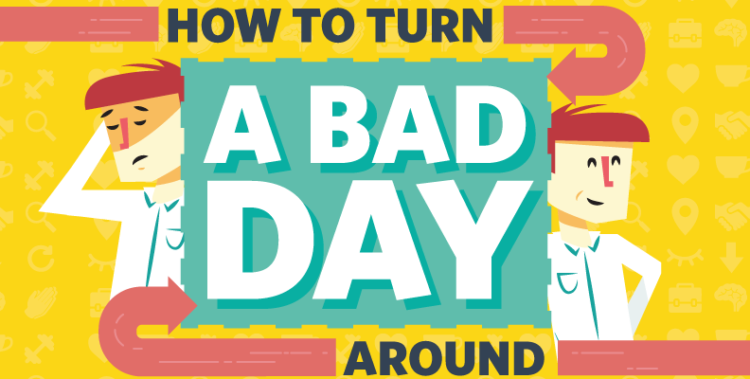 Worry no more, with these simple tips, you may turn a cloudy day into a bright one!